Its Garcia-Davide all over again in Cebu comes 2013. The last time they met, the son of the former Chief Justice and name sake, Hilario Davide III, got a drubbing from the durable emerging dynasty of the Garcias in Lapu Lapu’s island province. 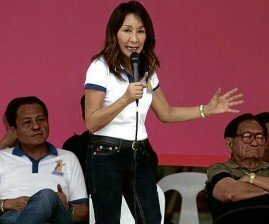 Gwen Garcia, a look-alike of Dr. Vicki Belo first thought of leaving her small pond and considered dabbling in national politics. She aligned herself with the nascent Jejomar Binay meteor reminiscent of the unstoppable Jeep ni Erap in 1998. Having been a habitué of a political aquarium first as a long time consultant of Mayor Eufrocino Codilla of Ormoc, Gwen hopped to Cebu when her father was elected provincial governor and one sibling, the City Mayor of Cebu. Having been instrumental in the election of President Gloria Arroyo in 2004 where Cebu delivered 1M-vote majority over FPJ, she nursed the idea that at last the nation has finally noticed the Cebuana fair lady besting Winnie Osmena. Parlaying spoils of electoral victory, GMA gifted another sibling, Winston, the Chairmanship of GSIS. Soon enough, she tagged along with Binay and company. She was bruited about as part of the senatorial slate of United Nationalist Alliance. Her tarps sprouted all over the country, the cost of which runs to millions of pesos. She visited and was guest of honor of various provinces and signed sisterhood agreements with them hewing the Binay template of Makati City’s sisterhood pacts with LGUs all over the country. Surveys sponsored by Binay however showed that Gwen hovered as tail ender in the leading 24 senatorial bets. 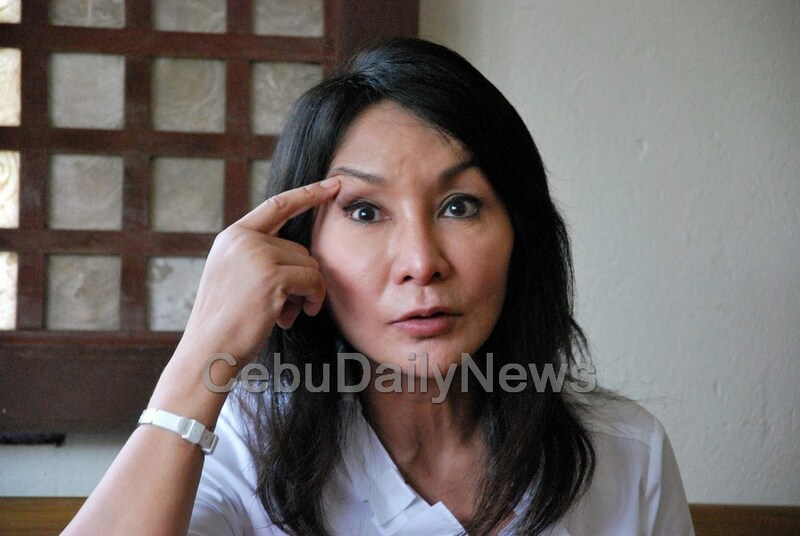 She was prevailed to withdraw and went on to re-stake her claim on her Governor’s post in Cebu. Gwen was replaced by Nancy Binay, the Vice President’s daughter, after what the latter called was a deluge of endorsements from all over the country. “Nancy Binay’s popularity in senatorial surveys ahead of the 2013 polls is surprising,” according to University of the Philippines Sociology Professor Randy David. Faced with this immutable truth (only in the Philippines teeming with dynasties) she listened to her father Don Pablo Sr.’s suggestion to return to their little pond lest it be grabbed by the family of the former Chief Justice. The obedient daughter did her father’s bidding. “Ok ng Governor ka, keysa natalong Senadora.” She can bid her time. Once her Makati patron grabs Malacanang, a cabinet position is hers for the taking. “Noong araw, ang padron ng mga Cebuano at Ilongo ay mga Mestizo. Ngayon baliktad na. Ang padron natin, mukhang Maligno!” This is the favorite personal fun of the Garcias in their exclusive family dinners. Her lawyers tell her that an administrative case does not survive upon reelection. Not only that, Binay, her patron has deep network in the OP all the way to the Office of the Executive Secretary. Since it is all too clear that she is Binay’s general stationed in an all too key vote rich province, no one at the OP has, she assumes, the gumption to touch her with any pole of any length. All told, the OES is Samar turf, the antagonist of the Balay faction of Mar Roxas. No Liberal Party member exists in the Republic of OES which is peopled by the Times Street bloc, Akbayan partisans, and protégés of the Sisters Acts. Any LP suggestion gets blown away once it reaches the bridge in Mendiola. The good Vice President has a private pipeline with the ES, an unabashed buff looking for longevity. Like a thief in the night or so Binay claims, Gwen faces suspension for six months extending all the way to May this election year. She is in the meantime replaced by of all people Gwen’s ally and a sister no less by Secretary Almendras, Vice Governor Agnes Almendras Magpale. Who resurrected Gwen’s case at the OP signed no less by the ES? It can’t be Mar Roxas. Is there a game plan in the suspension? As it is, the controversy puts Binay in collision course with the President. This is an election year and the President has three and half more years in office. Binay is now faced with a make or break options: should he turn entrepreneur (with his franchise on the block) or remain second fiddle to PNoy? The ES believes that this is the time to break away while there is still time and in a very opportune moment as well.